The company is being investigated by a law firm for deceptive practices, and failing to issue refunds to consumers. Controversy continues to surround Bethesda’s latest title, Fallout 76. Following the game’s beta release and subsequent launch, players have experienced a myriad of frustrating bugs. To correct some of these issues, Bethesda released a 56GB patch the day of launch, with additional patches on the way. While attempts at course correction (like the 56GB launch patch) have attempted to smooth things over, Fallout 76 continues to garner negative attention due to how poorly it plays. Over the last few weeks, gamers reporting everything from server crashes and destabilization to bugged enemy spawns and hackers. What’s more, many are unhappy with the lack of content available in Fallout 76, and how the game was steeply discounted a few weeks after launch for Black Friday and Cyber Monday, dropping from $60 all the way down to $35. This naturally prompted a wave of refund attempts, and while some were successful, many were not. According to the Bethesda Support Team, downloaded copies are “ineligible” for refunds. 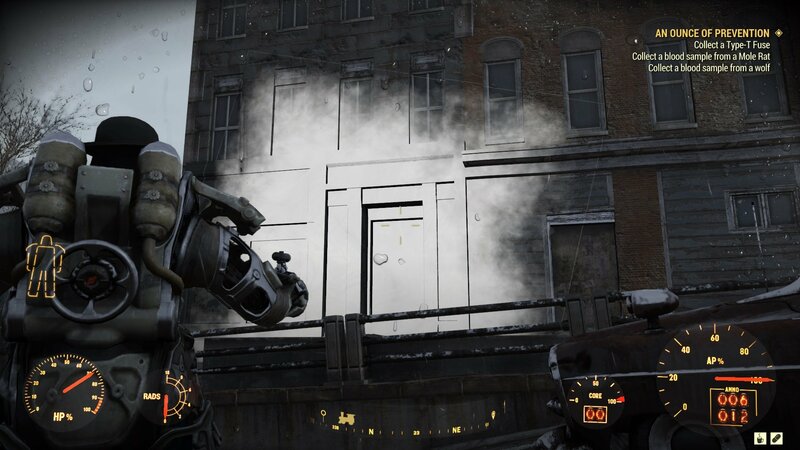 Numerous players have reported experiencing bugs and glitches throughout Fallout 76. Making a bad game isn’t exactly illegal, but the refund process could potentially land Bethesda in hot water as a Washington D.C. law firm has filed a class action lawsuit against the company. Migliaccio & Rathod LLP claim Bethesda engaged in deceptive practices and are now investigating the situation and refund policies that resulted in gamers being labeled “ineligible” for a refund. “Migliaccio & Rathod LLP is currently investigating Bethesda Game Studios for releasing a heavily-glitched game, Fallout 76, and refusing to issue refunds for PC purchasers of the game who found it to be unplayable because of its technical problems," Migliaccio & Rathod LLP explained. If you’re someone who tried, and failed, to receive a refund from Bethesda you can fill out a form for Migliaccio & Rathod LLP to use in their lawsuit against the company. While it's unlikely you’ll get an actual refund for your efforts, you can still make your voice heard. PC players who purchased physical copies of Fallout 76 were given a cardboard disc with a downloadable code on it, theoretically making all PC copies "downloaded" and thereby "ineligible" for refunds. When it comes to those who got screwed over the worst, we have to side with PC gamers after hearing they were denied refunds simply because they downloaded the game. 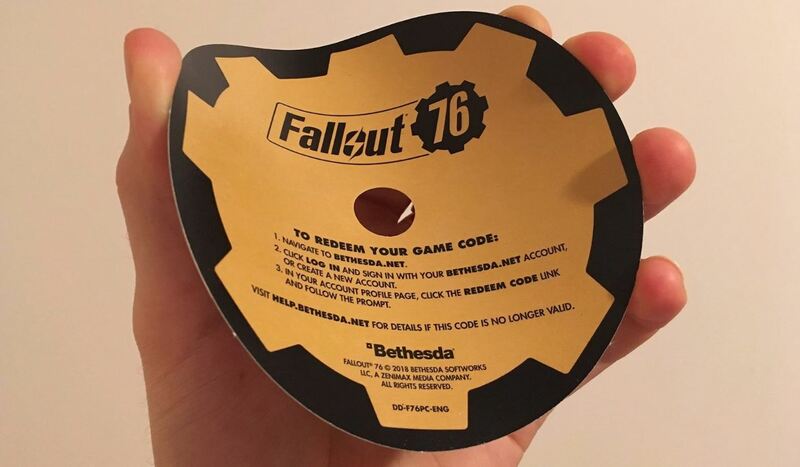 Oh, and they also got shipped a cardboard disc with a game code on it regardless of which version of Fallout 76 they purchased. While we wait for more information on the investigation against Bethesda, we can’t help but be reminded of when No Man’s Sky was reported to the Advertising Standards Authority after failing to live up promises made prior to release. In the end, the ASA ruled that No Man’s Sky didn't actually mislead consumers, which makes us wonder whether or not the lawsuit against Bethesda will meet a similar fate. What do you think? Did Bethesda engage in deceptive practices with the release of Fallout 76? Let us know down in the comments below! For more on the issues plaguing Fallout 76, be sure to check out AngryJoeShow's detailed review.